January is almost here and many of us have already started thinking of ways and new habits to improve our health and lifestyle in 2019. Whether it’s improving your physical health, reading more or getting better results at school/work, we have some interesting new habit ideas to help you in 2019. Make sure you’re getting 6-8 hour of sleep every night – it should be your priority! You should stay away from screens right before sleep because, as you probably already know, the blue light that interferes with your sleep. It increases probabilities of stress and anxiety throughout the next day, and I’m sure that’s the best mood to wake up to. You should opt to create a routine and a habit that helps you relax so that you can reach the maximum quality of sleep you can get and wake up the next day feeling energized, refreshed and ready to tackle the day. It may sound like a foolish thing to do since it’s only 10 minutes per day, but you would be surprised not it can positively affect your space! You have to admit, waking up to a clean room, clean desk and made up closet instantly puts you in a better mood! Just read what you find interesting and enjoy the most. Even if you think you don’t have time for reading, try to make a habit of reading at least one chapter a day. Not only will reading relax you, but it will also make your vocabulary richer! Giving yourself a beauty mask every week will positively affect your mood and self-confidence! 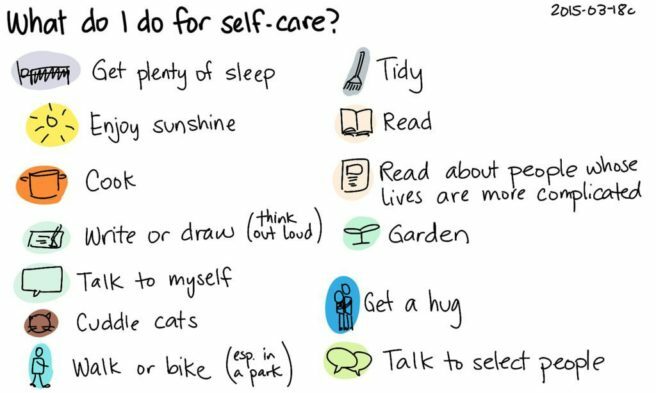 You can also give yourself a manicure while watching your favorite TV Show and unwind. You deserve to feel beautiful and relaxed – so treat your mind and body with a spa day! It doesn’t just make other people happy, but it also increases your own happiness! It may be a small action like, for example picking up something that fell and giving it back to its owner or giving someone your seat on the bus. By waking up an hour earlier every day, you will have more time to slowly wake up, have breakfast and get ready in the morning. Make habits that make you happy and give you joy. Start off your day on a positive note. 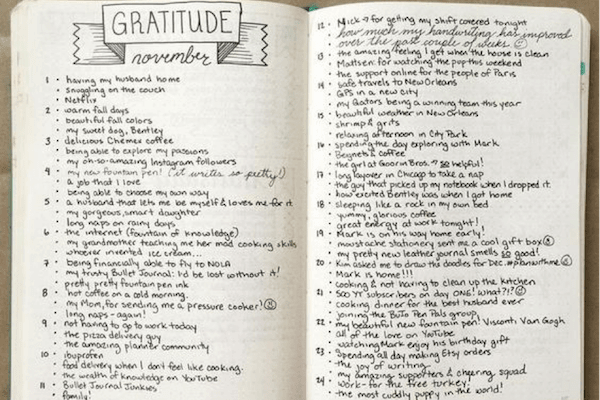 Separate some time out of your morning routine and make it a habit to sit and write down a few things you’re grateful for. You can write small things or something more meaningful. The point of this is to start your day on a positive note and put your day in perspective.